Is your firm on social media? If not, you should look into integrating social media into your firm, stat. These days, social media presence is a crucial way to market your firm, maintain and retain your clientele, appear accessible, and is just important for the sake of keeping up-to-date with the times and appearing relevant. Post regularly/often. Social media is constant. It is not a stagnant, inactive page. 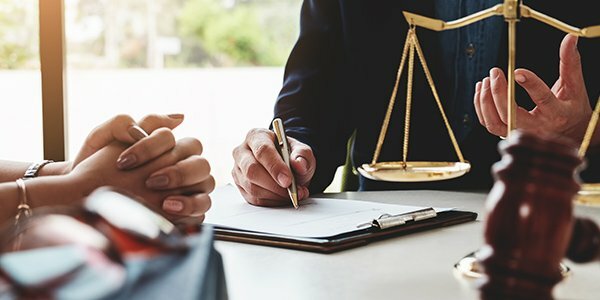 Make sure that you post consistently and often enough to help your audience realize that you are a legitimate firm run by actual, real-life attorneys. It may also help to prioritize your firm's social media schedule by daily tweets versus longer weekly detailed articles to the more sporadic random postings. Be personal. Lawyers often have a bad enough reputation for being stuffy and dry. You know this is not true, we know this is not true, and your clients who adore you (hopefully) know this is not true. Make sure that you maintain an accessible and personable, but still professional, tone while posting on your social media outlets so that you are not sounding like a robotic pod person, but an actual human being. This will help to remind your audience, especially prospective clients, that your firm is comprised of real, accessible attorneys who can solve their problems. Address industry's needs. Remember that you are operating in a niche industry and market, and you should cater to that. This is not your personal social media outlet, but your firm's. If there are particular practice areas or legal concerns that are relevant or making headlines, make sure that they are included. These posts should always be prioritized over generic "need an attorney?" posts. Delegate a social media "person." It may be useful to designate one of your staff members, or interns to man the social media at your firm. Having one person operating the social media exclusively can maintain consistency. One designated person with the permanent task of social media on their list will help to ensure that regular updates are being implemented among your firm's Twitter, Facebook, LinkedIn page, and even ensuring that your website is up-to-date. Be concise. You're an attorney, you don't have time -- your audience doesn't have time. To make matters even more pressing, social media is all about catering to shorter attention spans and for folks on-the-go. Make sure that you keep things concise, sweet, simple and get to the point. This will draw attention quickly and won't bore your audience to the point of X-ing out of your firm's page. There you have it. What are you waiting for, now? Go ahead and tweet/"like"/post/social-media away!